Home How we help Public affairs Campaigns Beat it Now! Our Beat it Now! campaign began in January 2013 after the vaccine, Bexsero, was licensed for use in Europe. Our campaign aim is simple, to get the UK Government to introduce the vaccine free on the NHS, as part of the immunisation programme. 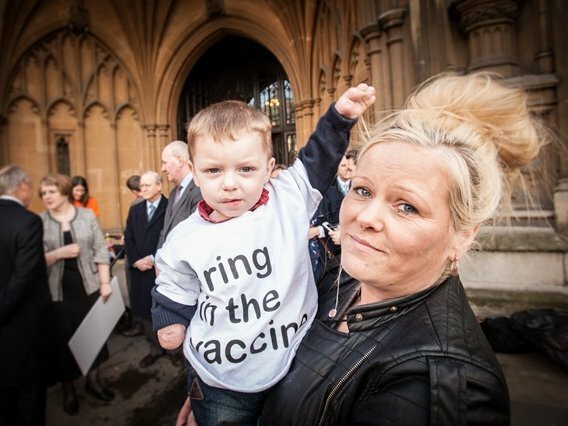 After more than a year of campaigning, on 21 March 2014 the Government’s vaccine committee, the JCVI, recommended that the vaccine be introduced in the UK. On 1 September 2015 the UK became the first country in the world to offer its newborn babies the new vaccine Bexsero via a national health service. Although we are delighted to see this milestone advancement, for many this comes too late and does not mean meningitis is beaten. There is still so much more to do as we continue our campaign to see the MenB vaccine extended to other at risk groups and to all children within a family where there has been a case of meningitis. 6 September 2013 - We responded to JCVI interim decision. 25 October 2013 - JCVI issued an interim statement stating that they need further information. 5 November 2014 - following the House of Commons event, Cotswold's MP Geoffrey Clifton-Brown, follows up on our behalf by asking David Cameron for an update on the vaccine negotiations, at Prime Minister's Questions. 2 November 2015 - Meningitis Now wrote to Health Secretary Jeremy Hunt and the Department of Health to extend the vaccine to all children within a family where there has been a case of meningitis. We also asked GPs to support the wider rollout. Read our letter here. Download a letter to send to your local MP here.